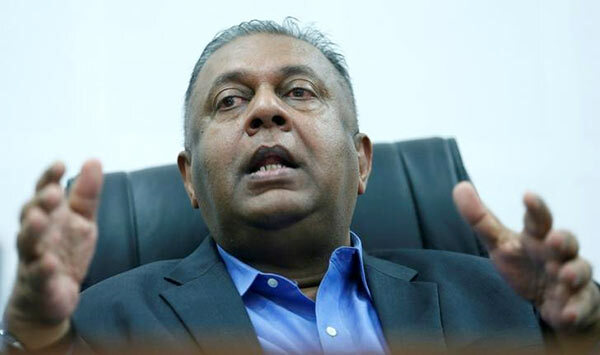 The Criminal Investigation Department (CID) has not made any statement to establish or corroborate the allegations of a plot to assassinate President Maithripala Sirisena, former President Mahinda Rajapaksa and former Defence Secretary Gotabhaya Rajapaksa, Finance and Mass Media Minister Mangala Samaraweera said. The minister made this observation in a statement yesterday on the misreporting of the CID Investigation regarding the complaint by A.M.Namal Kumara. The minister requested the media to exercise caution when reporting on criminal investigations with serious implications to the security of the state.“Several media outlets have given wide publicity to false, unattributed claims that the CID had alleged in court that an Indian national had confirmed the existence of a plot to assassinate President Sirisena, Rajapaksa and others. These news reports are false, baseless and inflammatory. The CID has not, at any time, in either written or verbal submissions to the Magistrates Court, made any statement that could lead to the conclusion or inference that an assassination plot has been established or corroborated, whether through “Marceli Thomas” or by any other means,” the minister stressed in his statement. “Journalists are free to observe any court proceedings in person or to apply for transcripts of proceedings and court filings through the Registrar of the Court. Therefore, it is inexcusable to make such serious and inflammatory statements on a matter of public record without citing any sources or mode of corroboration. Responsible media organisations and public figures alike should restrict their reporting on judicial matters to the written and verbal submissions made by parties before the court,” the minister said. “The CID is conducting investigations into serious allegations of an alleged conspiracy to assassinate President Maithripala Sirisena, former President Mahinda Rajapaksa and former Defence Secretary Gotabhaya Rajapaksa, amongst others. As of this time, the only source for these allegations is a statement made by A.M. Namal Kumara. While the CID has yet to report any evidence substantiating the existence of such a plot, these allegations are so grave in their implication that CID detectives must take every precaution thoroughly investigate and seek to corroborate their every element, as a matter of national security,” the statement explained. “On Monday, CID officers arrested Indian national “Marceli Thomas” in connection with this investigation. Yesterday, Thomas was produced before the Colombo Fort Magistrates Court, and an order to detain him in CID custody was sought and obtained. The reason CID officers sought to detain him was to conduct further investigations on a suspicion that he may have violated Section 5 of the Prevention of Terrorism Act No. 48 of 1978 by failing to report information pertaining to plans to commit an act of terror. This suspicion was filed in writing by the CID and stated verbally in open court. Further evidence in support of this submission was shared with the Honourable Magistrate in the Chambers,” it added.